In 2015 I received a commission from Atipografia, a contemporary art gallery in the small town of Arzignano, at the centre of Italy's leather industry. Over the course of seven intense days, in sweltering July heat, I visited eight tanneries and one machinery manufacturer in the region. While watching the initial stages of the leather-making process I mused that the earliest clothing worn by our ancient ancestors was made from animal hides. 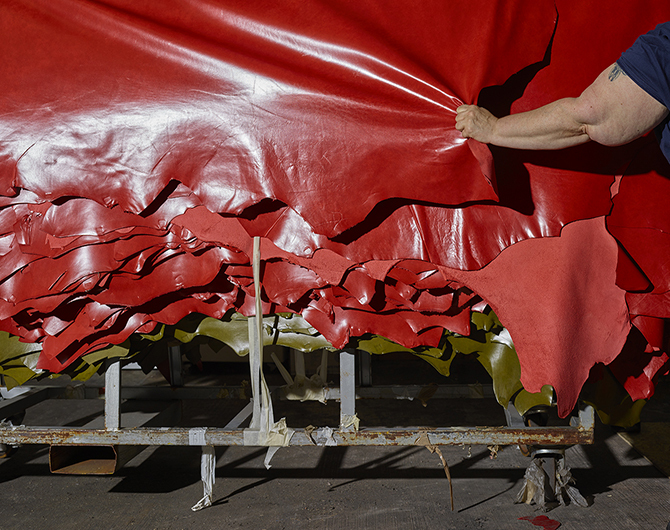 While today’s products are rather more refined, there is something fundamental, almost biblical, in the manufacture of leather from raw material to final artifact. Remarkably, tiny Arzignano is responsible for producing 1.5% of Italy’s annual GDP.